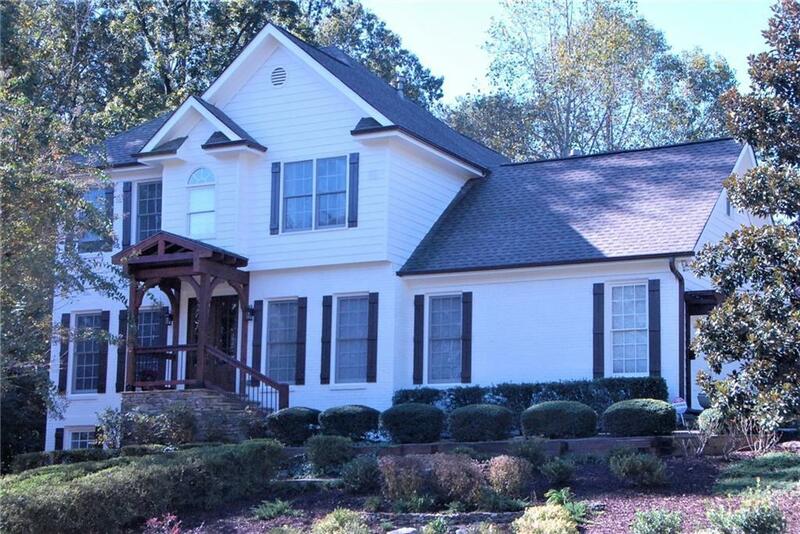 BEAUTIFUL REMOLDED BRICK FRONT HOME ON LARGE 1/2 ACRE FENCED LOT IN A GREAT SWIM/ TENNIS FORSYTH NEIGHBORHOOD. UPDATED KITCHEN WITH NEW CABINETS, GRANITE COUNTERS AND SS APPLIANCES OPENS TO FAMILY ROOM. NEWER ROOF, FRESH PAINT, UPDATED LIGHTING. NEW CABINETS AND REMOLDED MASTER BATH. SIDE ENTRY GARAGE. FINISHED DAYLIGHT BASEMENT W/BEDROOM, BATH & MEDIA ROOM .BASEMENT SQ FT NOT INCLUDED IN TAX DATA. LOT OF ROOM. PLENTY OF STORAGE SPACE INCLUDING EXTENDED MASTER CLOSET.